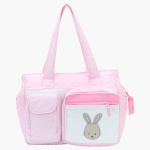 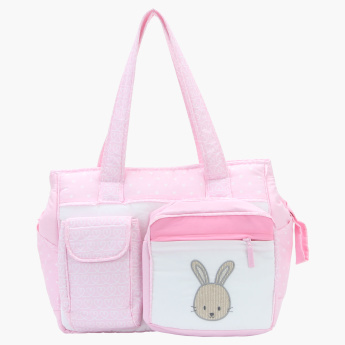 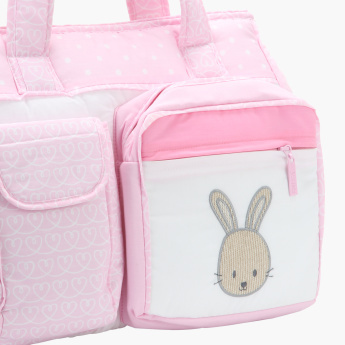 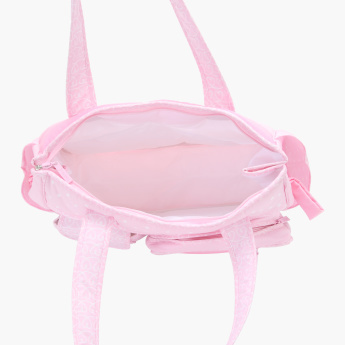 Keep your baby's diapers, powders, food, clothes and other important items in this bag and keep them handy while travelling. The print and embroidered detail look great while the handles make it convenient to carry. 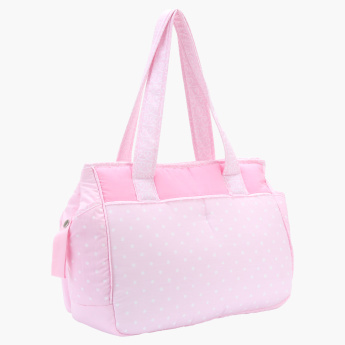 Feature 3 : easy to carry all your baby essentails .